One of the myths about coworking is that it is for freelancers and start-ups. People envision open floor plans that only work if you fly solo or just have a small team. In reality, coworking is for companies of any size. The beauty of coworking is the flexibility it brings. Let’s say your an ad agency that just landed a huge client and needs to hire 10 new people to manage the team. In a traditional office space, this would result in needing to move. But with many coworking spaces, you have the ability to grow within them. Reconfiguring spaces or renting more offices is one of the main perks for companies who are growing or larger in nature. Coworking isn’t all open and shared spaces. 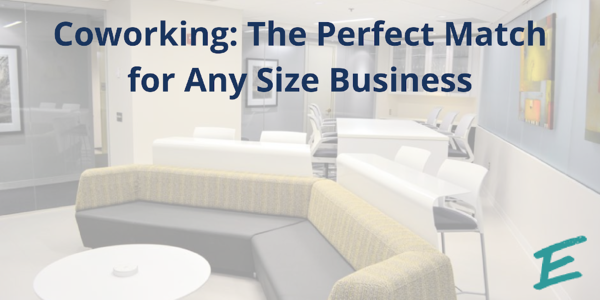 For a larger company, chances are you need some private spaces. Choose a shared workspace where you have the option of renting suites. Employees will have their own area, while you still maintain the amenities and benefits of a shared workspace. 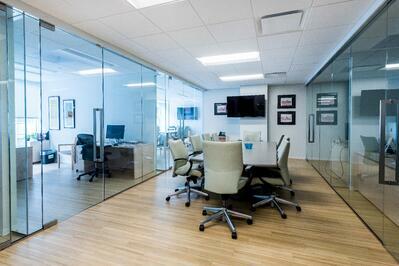 A main concern for larger companies is the need for meeting space. Bypass the awkwardness of commandeering a communal table for your 10-person conference by choosing a space with plenty of meeting rooms. Having a variety of set-up options, such as room configuration and AV capabilities ensures that your business stays on track. At AdvantEdge Workspaces, we cater to all different business sizes. The switch from traditional to shared workspaces can be easy! 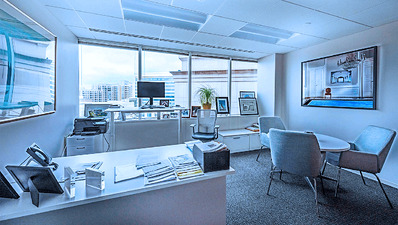 Our unique blend of private and communal spaces helps to retain the same work lifestyle of a traditional office while adding in the benefits of being part of a community of like-minded people. Here, companies of all sizes are embraced and their needs are met. Come visit us today to see how we can help you transition to the shared workspace lifestyle!